You can be assured that we have the right parts to suit your requirements as CM Trailer Parts imports, manufactures & distributes leading trailer components. We introduce innovation and service to provide you with the best parts for New Zealand conditions. Large range of quality trailer parts for your light trailer needs. CM Trailer Parts provides quality trailers parts and components to the light trailer building industry in New Zealand – for boat trailers, vehicle transporters, domestic trailers and commercial trailers. The products we supply are constantly reviewed and modified to provide safe, robust and safety compliant trailer components. CM Trailer Parts specialise in quality trailer parts for the light trailer industry and because we are the sole New Zealand Distributors of trailer part brands including MaxBrake, Kodiak, Dexter, Carlisle, MagBrake, Hayes, Q LED, Deemaxx and Cargo Towing, we are able to provide a large range of options and advice for your next trailer project. Browse our website products to the left, or download our catalogue to find the right trailer parts to suit your requirements and the advice to choose the right product; or contact us for further information. 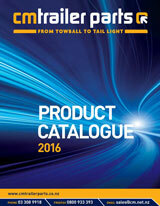 Click here to download the latest Catalogue. 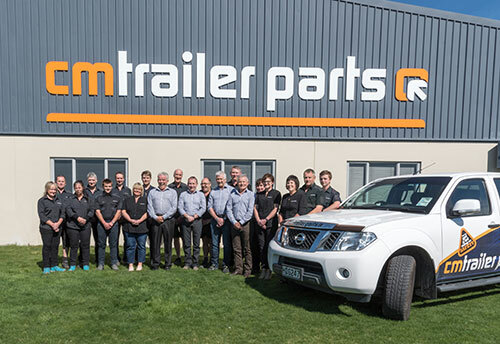 DexKo Global expands its New Zealand operations with the acquisition of CM Trailer Parts.